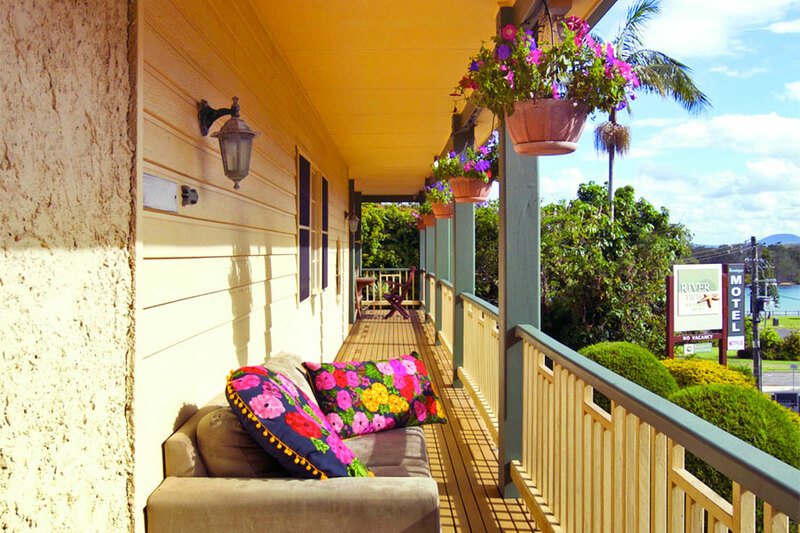 Step back in time and enjoy the character and romantic charm of an authentic 1880’s Australian guest house at the Riverview Boutique Motel, Nambucca Heads. 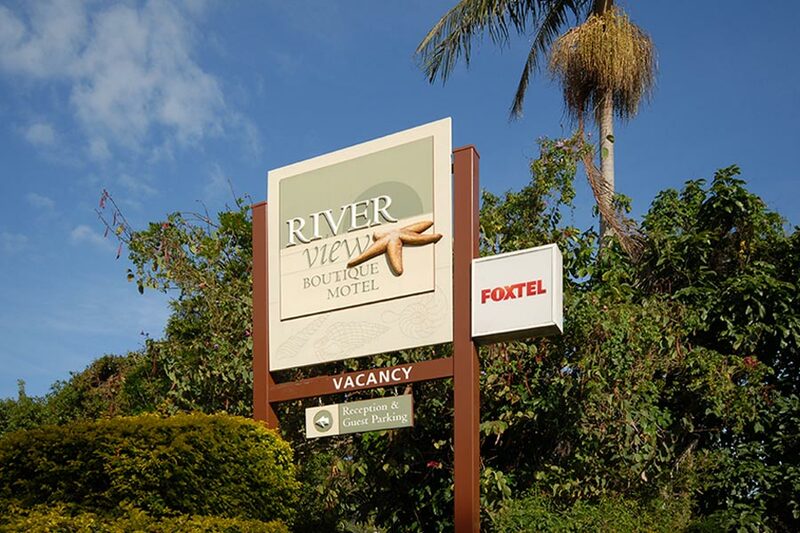 Positioned just a few meters from the beautiful Nambucca River the Riverview Boutique Motel is located halfway between Sydney and Brisbane – the perfect place to break your long journey or for a holiday base to explore the mid north coast of New South Wales. 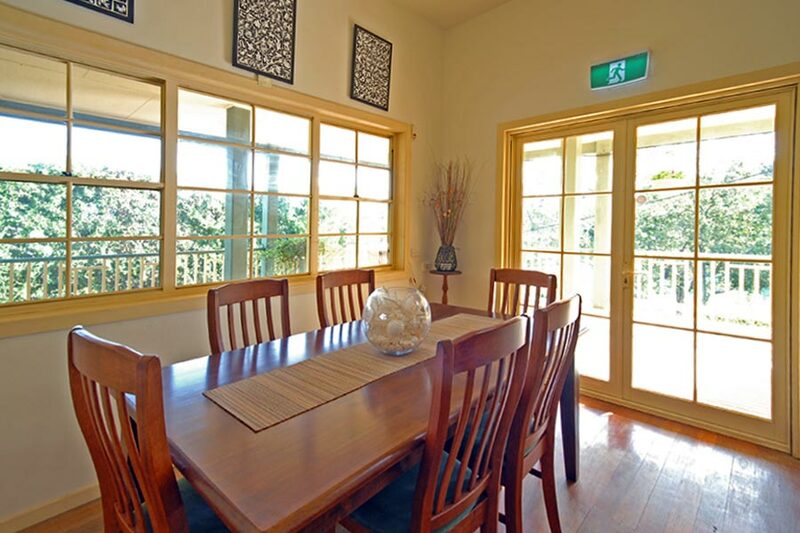 All rooms are fully furnished for your comfort and have their own en‑suites and balconies with views of the Nambucca River or garden. We also have a room ideal for small seminars, meetings and workshops. 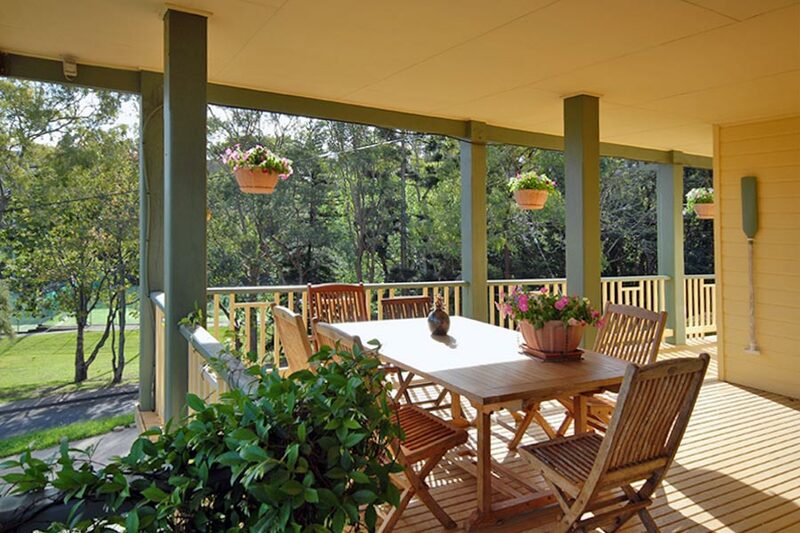 The Riverview Boutique Motel is an authentic 1880’s Australian guest house which has undergone many renovations over the years but has still retained its old world charm with its verandas, polished timber floors and high ceilings. We have 9 spacious rooms all furnished in a similar fashion but are different in their layout and floor plan. All rooms have one Queen size double bed; some rooms have an additional single bed or an additional set of bunk beds allowing for up to a maximum of 4 people in one room. A cot is available for a small extra charge. All rooms are upstairs on the first floor level except for one room on the ground floor allowing easy access if stairs are a problem. Please mention your requirements at the time of booking and we will do our best to accommodate you. Free in house internet is available. Although we cannot accommodate pets in any of our rooms, a handy solution is to book your pets into the Coronation Kennels & Cattery which is only a short drive away, near Macksville. Here you can board your dog or cat for as many days/nights as you need, knowing that they will be well cared for and close by. For more details visit: coronationkennelsandcattery.com.au or call direct on (02) 6568 2018. 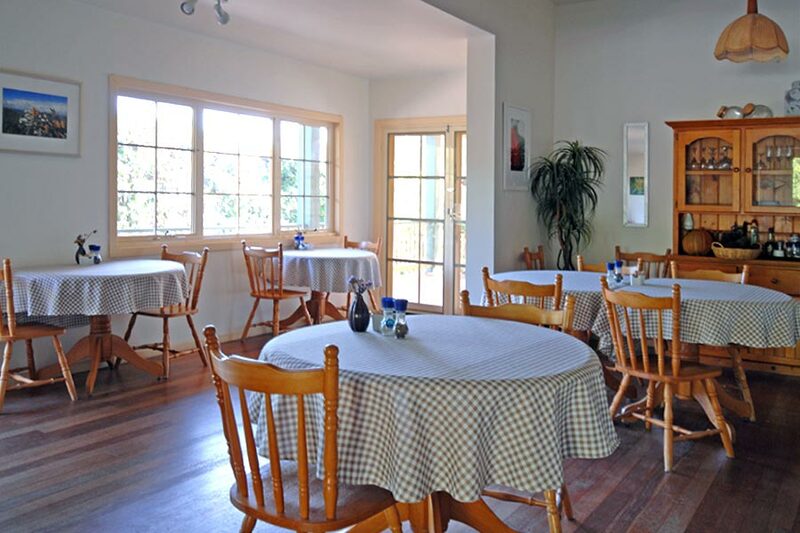 Included in our tariff is a choice of a full cooked or continental breakfast. Breakfast is served between 7 & 8.30am either in our spacious breakfast room, in your room or outside on your balcony or on our veranda. 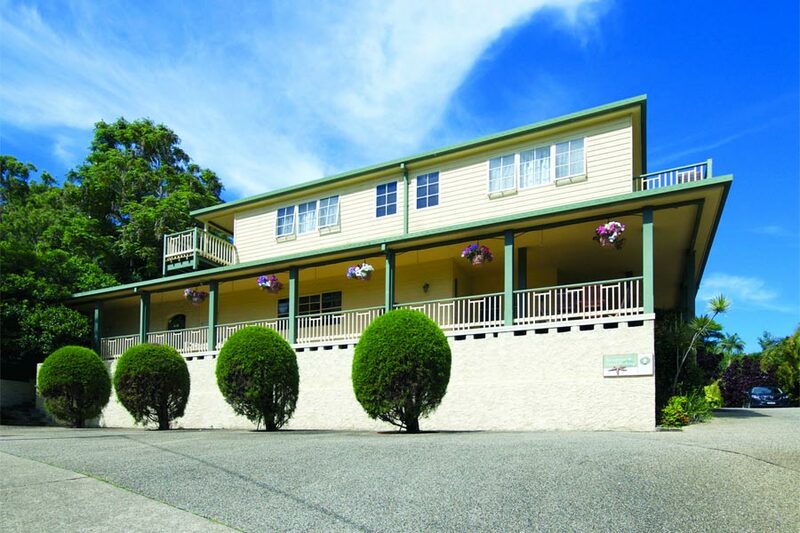 The Riverview Boutique Motel is located approximately 150 metres from the top of Wellington Drive. Just look for our sign on the left and take the driveway to the left of the sign. Should you be intending to check in after 8pm, or are running late, PLEASE call prior to arrival to arrange for key pick-up. Error: Error validating access token: Session has expired on Sunday, 14-Apr-19 23:50:25 PDT. The current time is Sunday, 21-Apr-19 23:26:57 PDT.